My name is David Kreinheder. I have a passion for high tech and … um … shoes. Specifically, men’s dress shoes. 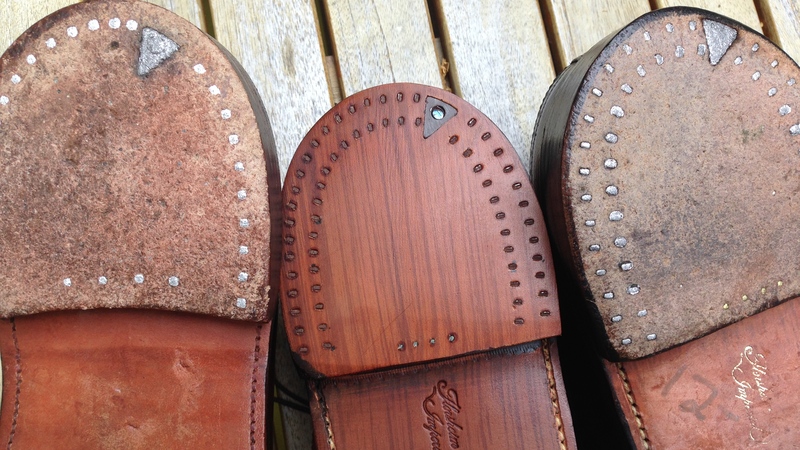 For the past several years, I have been buying, selling, restoring and wearing vintage shoes as a hobby. Mainly vintage American and Canadian shoes from the 60s to 80s. This blog is intended to share some of the knowledge and insights I have learned. With a bit of humor. I am also trying to make it easier to connect buyers and sellers of shoes. What is a v-cleat (or vcleat)? It is a metal insert built into the back heel of some vintage shoe models. 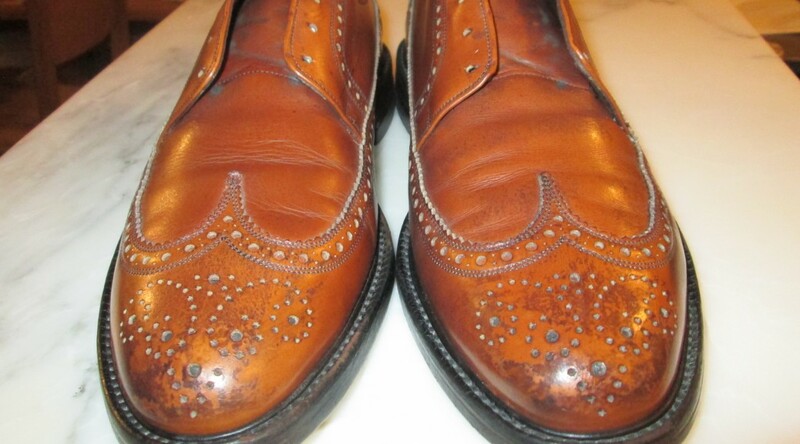 Florsheim, Nettleton, Nunn Bush and Bostonian used them back in the day. Some English makers as well. 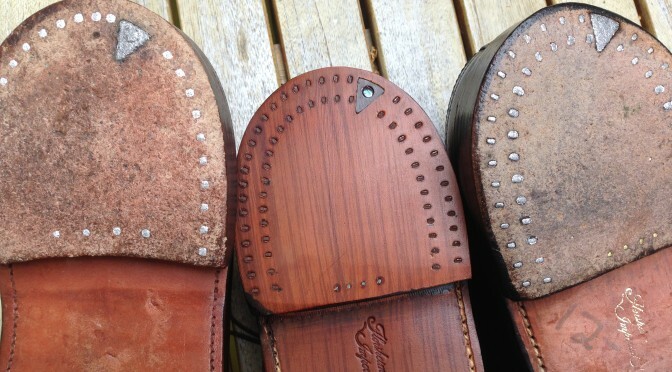 The intent of it was to extend the life of the heel (and shoe). The v-cleat (and the large number of heel nails used) did reduce traction though and made the shoe slippery on smooth surfaces. “Suicide heel” was a term for this slipperiness. The heel was often replaced with a rubber heel. No shoe company regularly makes a shoe with a v-cleat anymore.